Quote attributed to George W. Bush, which is another good reason to eat broccoli. 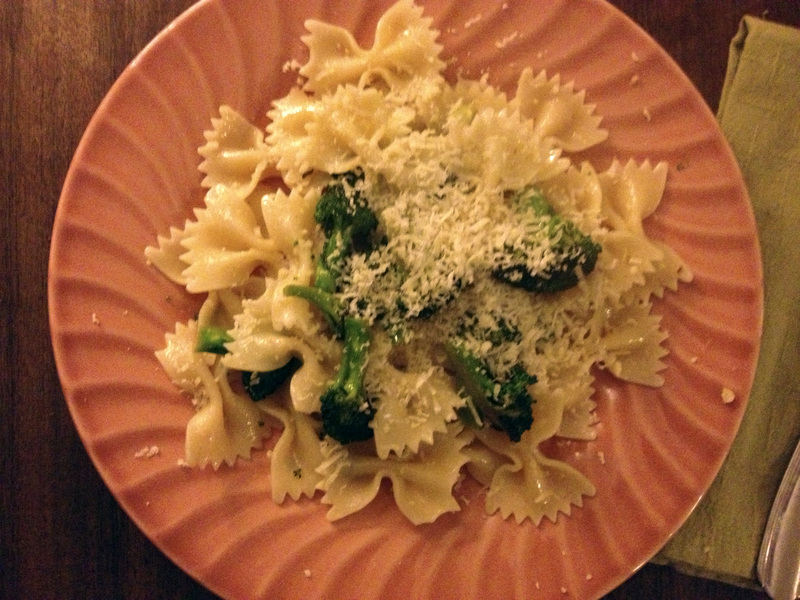 This is a recipe that I have cooked ever since being shown how to cook it in Rome. I have eaten it in Italian restaurants and each version differs. I used to steam the broccoli florets before cooking but I now prefer starting with them raw, and letting the natural juiciness come through when cooking. 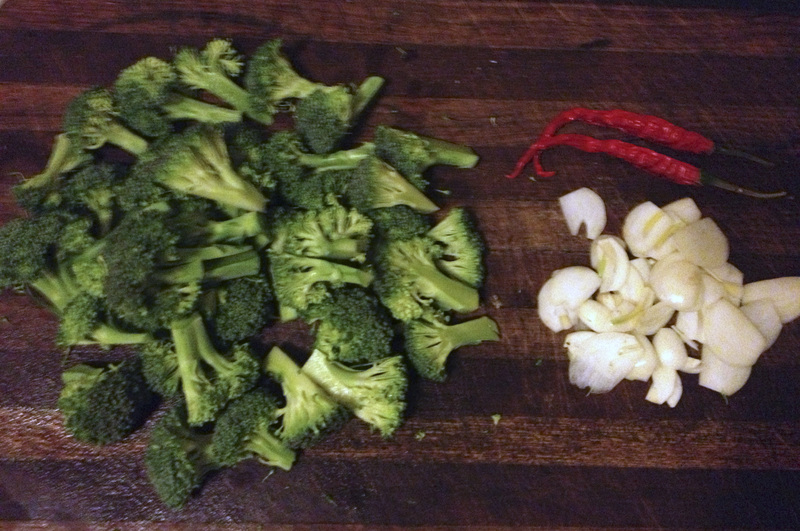 *Save the stems and leaves for broccoli soup or vegetable stock. 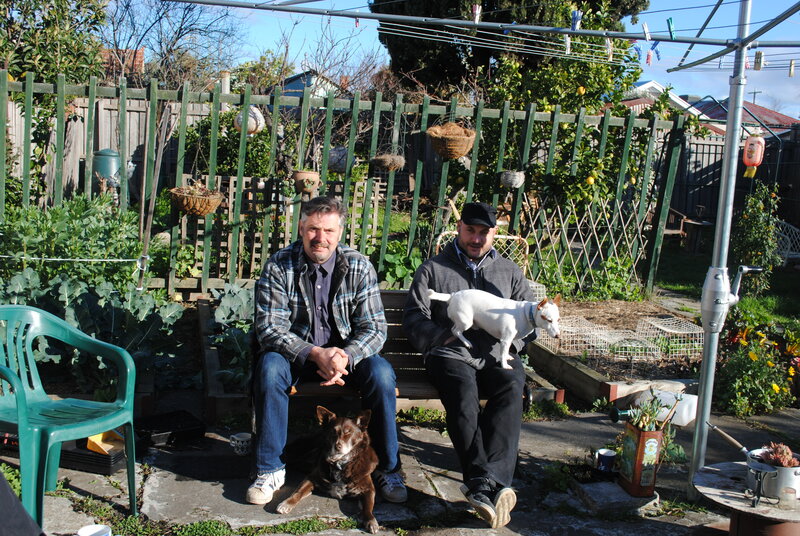 Stefan Morris (on left, with neighbour Tony and Albie and Lenny, respectively) is a Guest Buzzer, a drummer, designer, a great cook, really handy around the house & garden, and an all ’round good bloke.